Real Lives – Big Impact! The Big-Little relationship is the key to the success of our mentoring programs. Our staff works very hard to match Bigs and Littles who have similar interests and compatible personalities, and they provide support for the duration of the matches. This is why our community-based matches have an average length of more than three years, with some Bigs and Littles being paired for more than a decade. On this page, we introduce you to some of our wonderful matches. 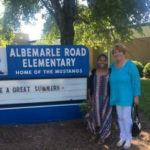 Joe and Ahjahya have been matched for one year. 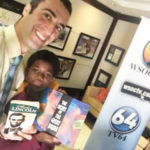 When Joe’s workplace (Channel 9 News) had a book drive, Ahjahya and his mom stopped by to make a donation. 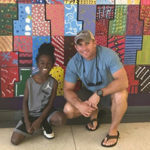 When Ahjahya’s school had a “father’s day” this past year, Joe attended with him so that Ahjahya didn’t feel left out. Recently, Ahjahya’s bike was destroyed when he was hit by a car. Fortunately, Ahjahya is fine. Joe and Big Brothers Big Sisters’ staff have teamed up to get Ahjahya a new bike!